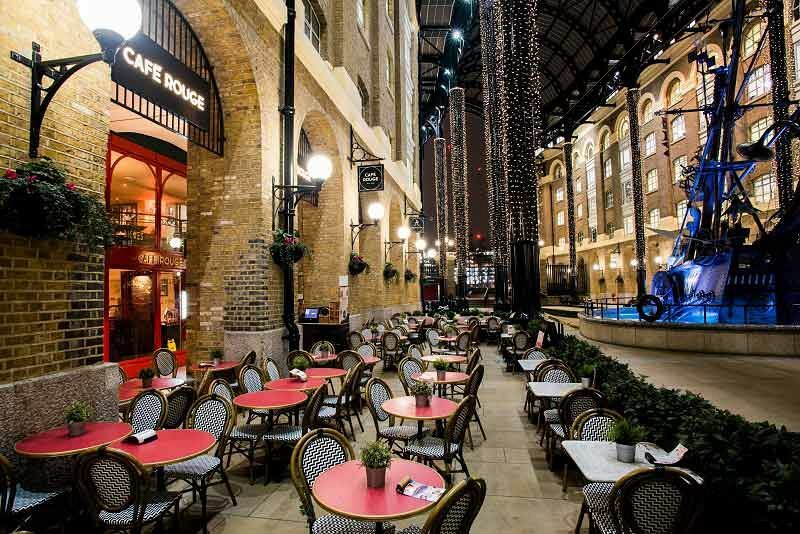 Come join us at this popular French brasserie restaurant situated in London’s Hay’s Galleria and experience a delicious two or three-course meal with your friends and colleagues to round off the working year and celebrate the festive season! On arrival to the venue, you’ll enjoy a warm welcome from the friendly and attentive team, who will guide you to your reserved table where you’ll be seated for the celebration. 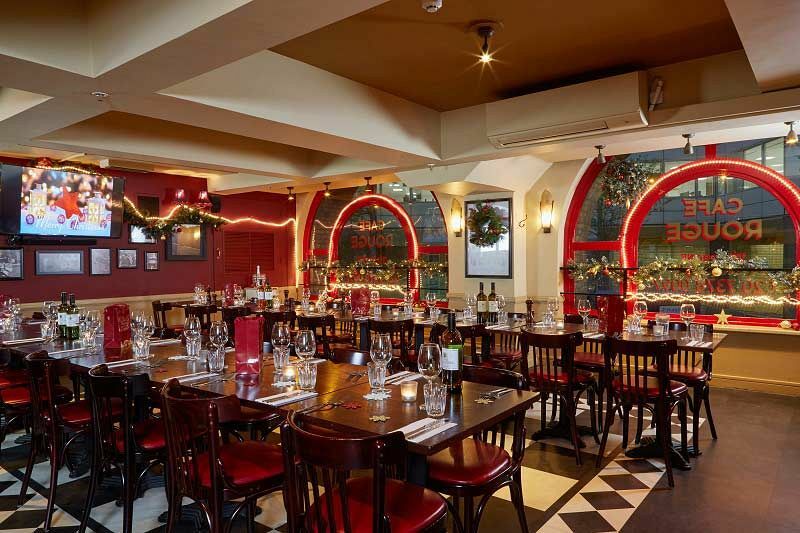 Your group will be seated at a private table situated within the main restaurant area, so you’ll be able to soak up the festive ambience, whilst experiencing the exclusivity of sitting with your group. 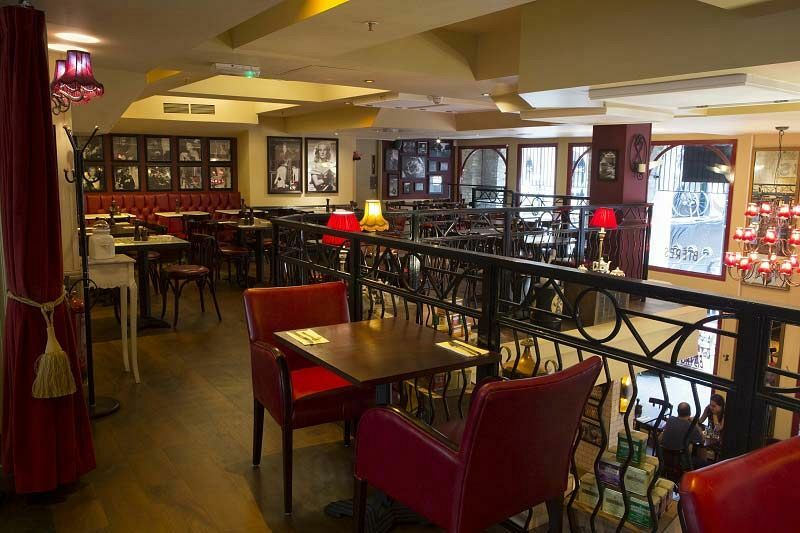 Featuring glamorous and sophisticated interiors, bistro style seating, areas with tiled floors and colourful framed advertising posters, in addition to soft lighting to create a relaxed atmosphere, the restaurant mirrors that of a typical Parisian bistro and you’ll be able to enjoy a little slice of France right here in London! The menu here is simply mouth-watering, so you may have a tough time deciding what to go for. There’s something here that everyone will enjoy, such as meat, fish and vegetarian choices. From tasty starters and hearty mains to decadent desserts and an extensive wine and drinks list, you can be sure that everyone will be full and satisfied. If you'd prefer to celebrate by day, then why not enjoy a Christmas lunch, that's served between 12.00pm and 4.00pm? 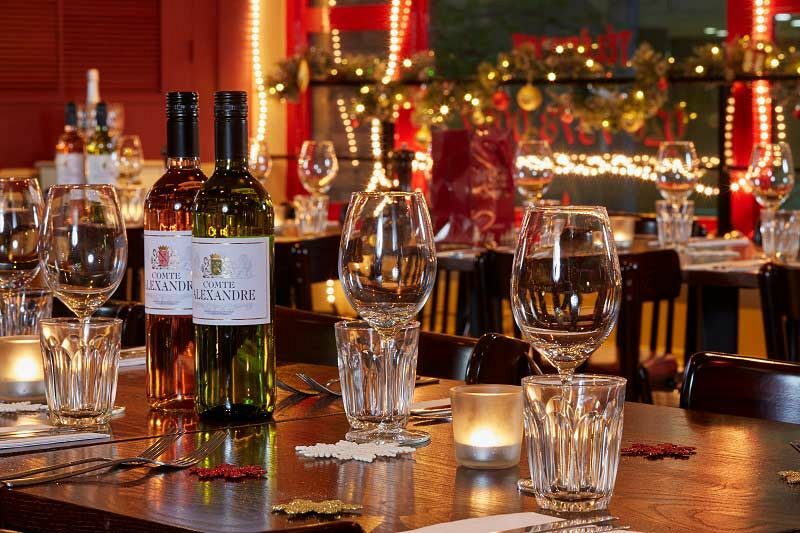 Book your reservation at this popular French brasserie chain in Hay’s Galleria today and experience a Christmas meal you won’t forget!